How to implement and know if we are on track? The project Transformation of Mumbai into a World Class City (Phase I, II and III) was initiated in 2005 under The World Bank, Cities Alliance and U.S. Agency for International Development. 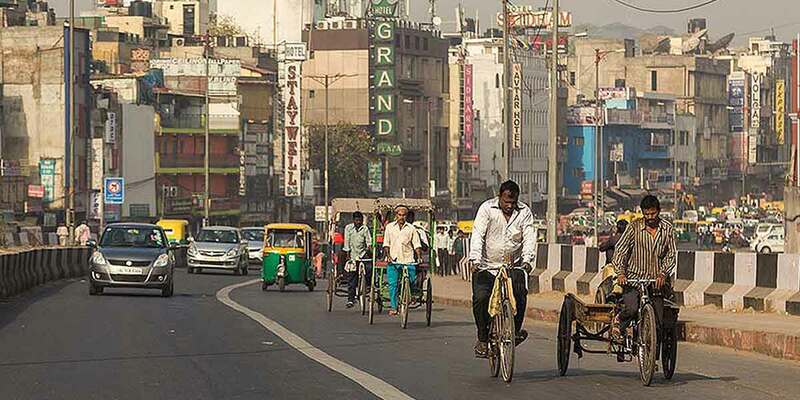 This was under the background that India’s business and financial capital is one of the world’s most densely populated metropolitan areas, and its population of 26 million is projected to continue growing to more than 45 million people by 2052. The strain on infrastructure and services already lowered the quality of life and slowed down economic growth. Seeking to reverse this decline, in 2003 a group of citizens began pressing for drastic infrastructure improvements and better planning and governance. They created a vision statement to transform Mumbai into a world-class city with a vibrant economy and a high standard of living for all citizens. This would require upgrading the slums in Mumbai from about 60 % to less than 15 % of the population. In a unique example of public-private partnership, a task force, a citizens’ action group, and an empowered committee were formed to guide the Mumbai Transformation Programme (MTP). In partnership with the development partners, this resulted to the creation of the Mumbai Transformation Support Unit (MTSU) in 2005, to serve as an interface between the government and all other stakeholders involved in this ambitious long-term programme. Its duties also include providing administrative and technical support, and documenting the process. The establishment of the MTSU inaugurated a new multi-stakeholder planning process, involving numerous government departments as well as the private sector and civil society: this support unit was instrumental in providing facilitation to the MTP resulting to the success of the program and sustainability. The MTP contributed to the transformation of Mumbai’s governance, management and financial processes. A city-region perspective enabled the MTSU to adopt a more holistic approach to overcoming the area’s challenges. It also benefited from taking a layered approach of policy reform, major infrastructure proposals, and visible quick wins that motivated stakeholders to pursue larger changes. Opening up the process to the public through an online reporting website helped to engage citizens and maintain the momentum for change. Given the multitude of objectives that were to be addressed in the program, the pros and cons of different options were carefully weighed, and key infrastructure projects sensitively managed so as not to adversely affect the urban poor. Interventions adopted were broad and complex but this challenge was addressed through inclusive consultations and prioritization.